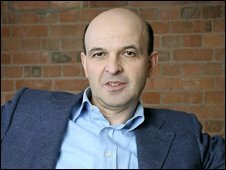 The controller of Radio 4 and Radio 7, Mark Damazer, is to leave the BBC to become head of St Peter's College at Oxford University. He said he will have had the post for six years and there was no other big broadcasting job that appealed to him. He joined the BBC World Service in 1981 as a current affairs producer before going on to become deputy director of news in 2001, then controller in 2004. Mr Damazer is due to take up his new post in October. Radio 4 was named UK station of the year at the Sony Radio Academy Awards in 2008. Mr Damazer studied at Cambridge where he attained a double-starred first in history. He was also awarded the Harkness Fellowship at Harvard University.